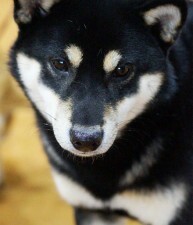 His name is Kuronishiki 宮の 黒錦号, but we call him Akuto, because he is so mischievious! 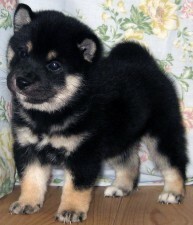 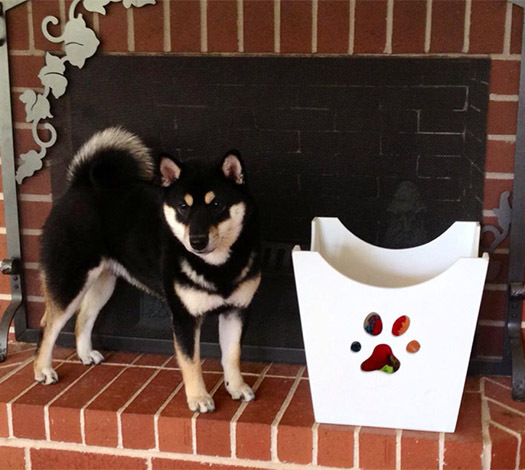 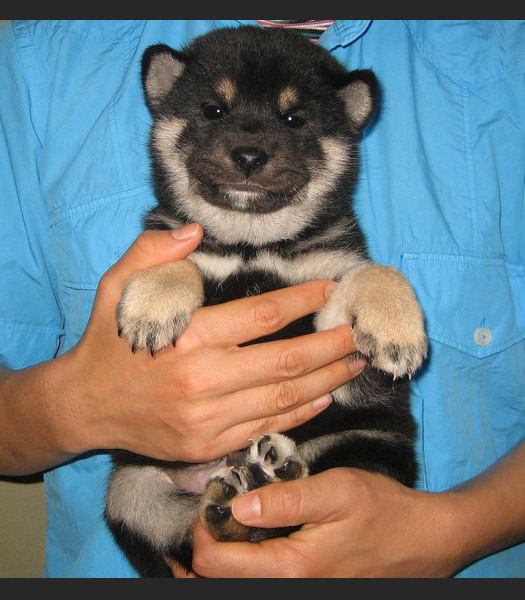 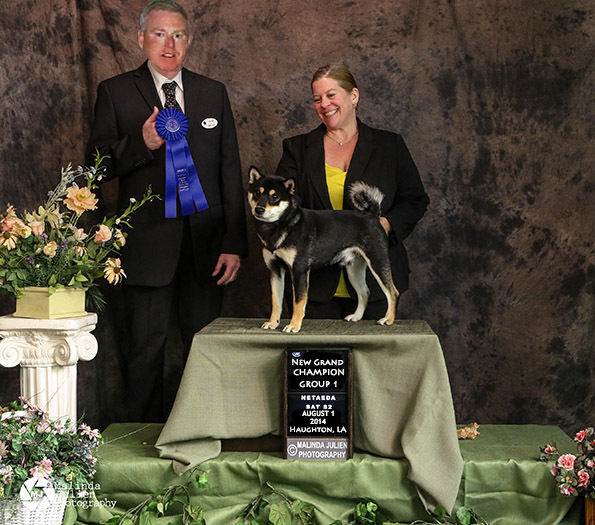 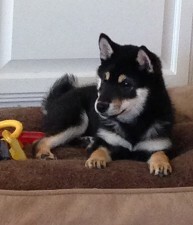 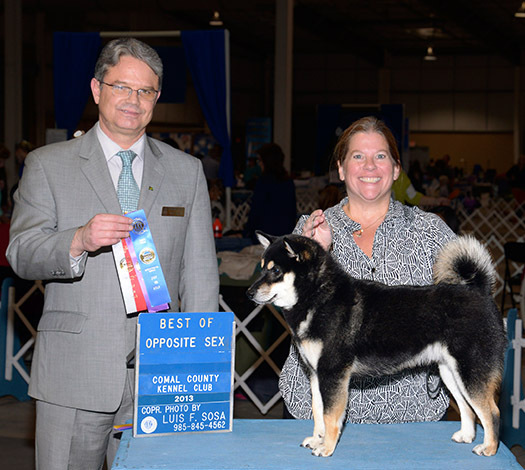 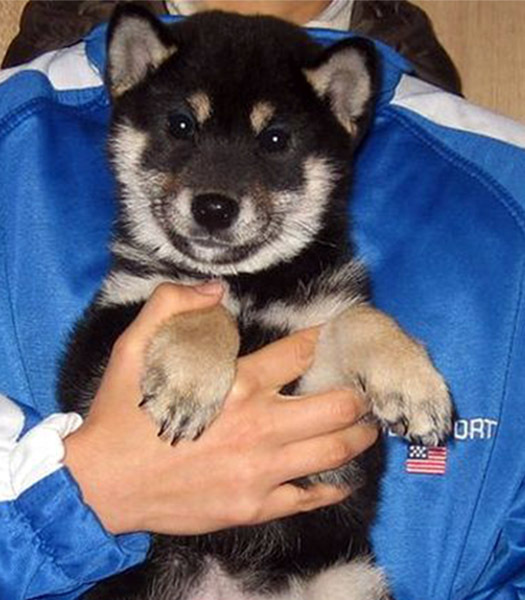 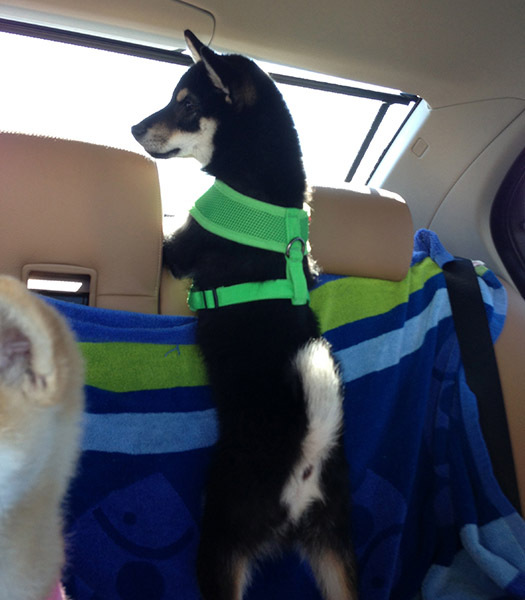 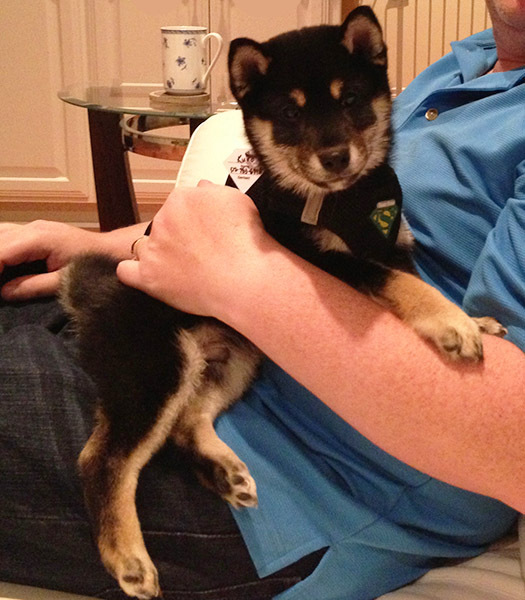 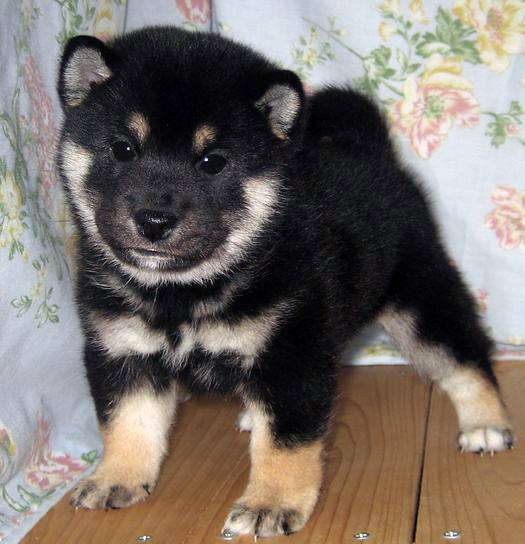 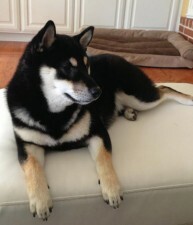 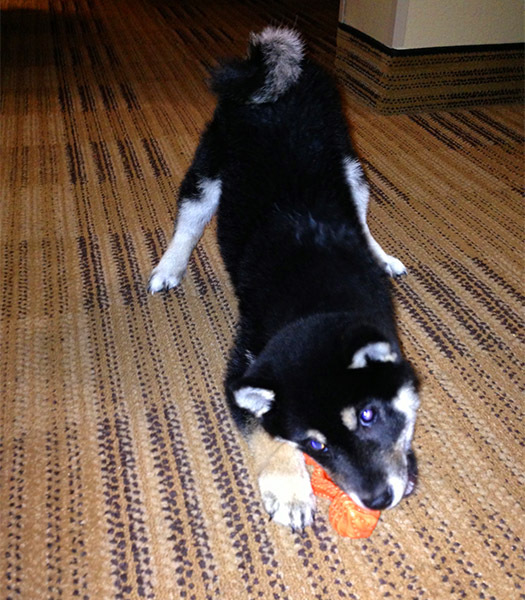 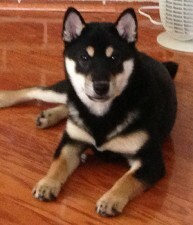 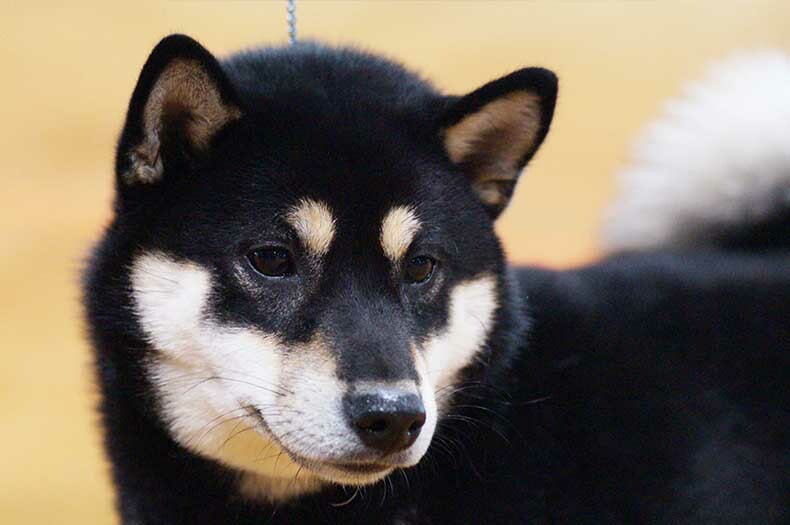 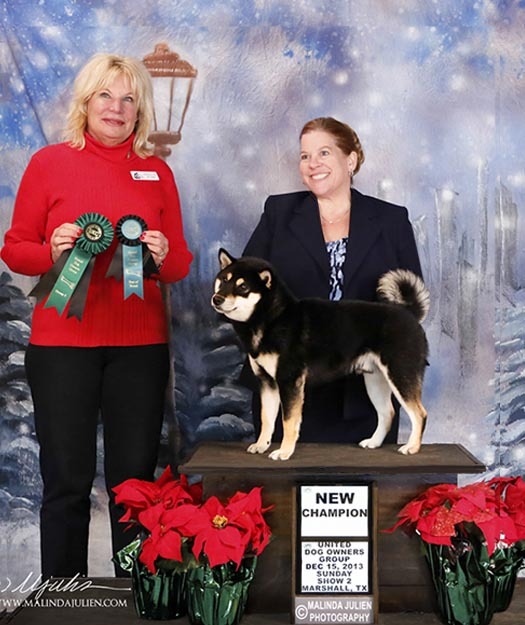 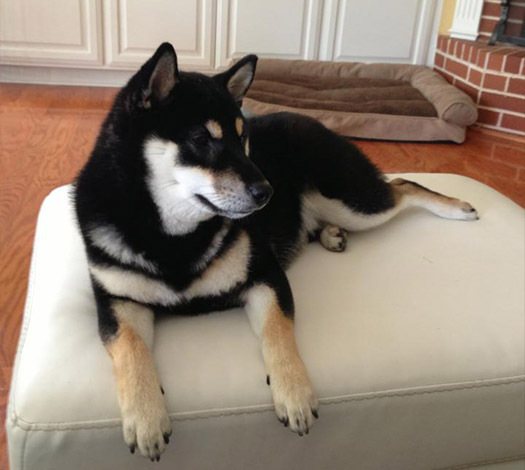 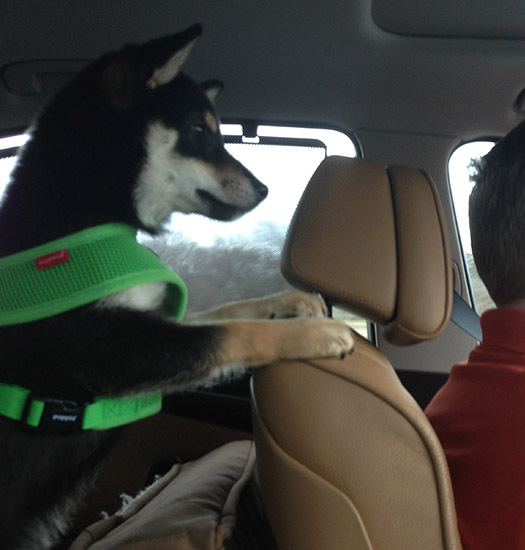 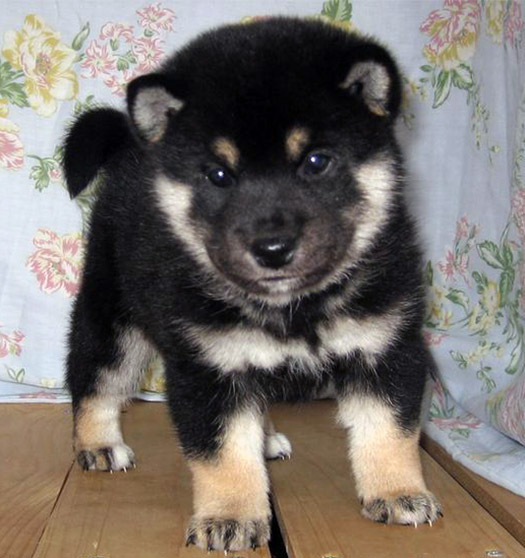 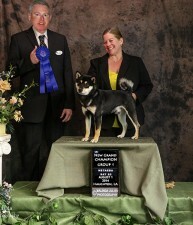 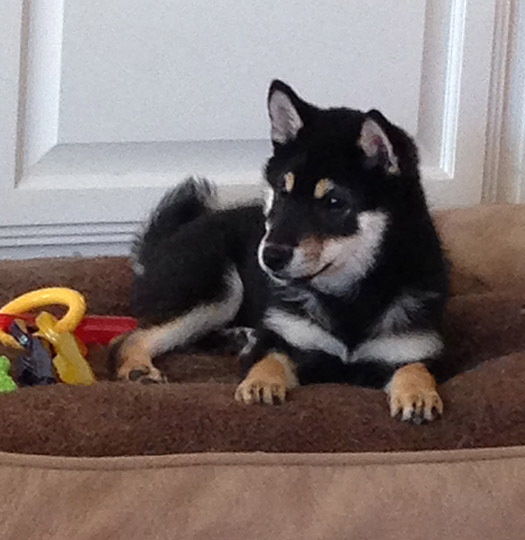 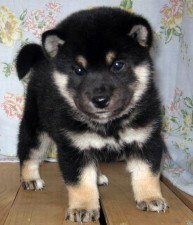 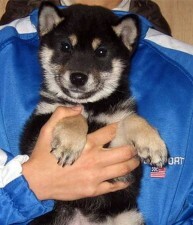 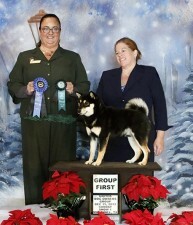 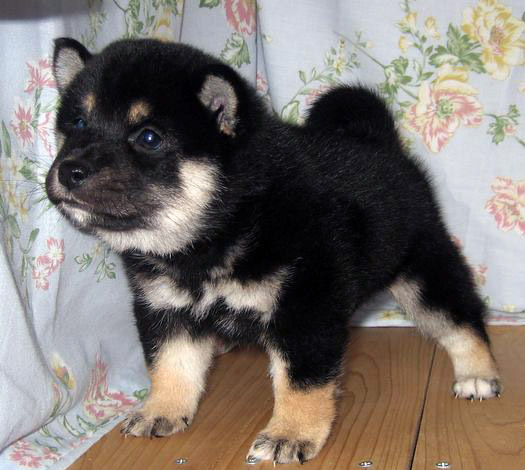 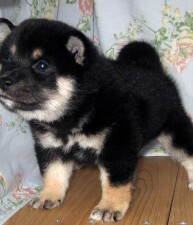 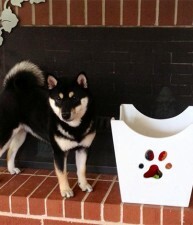 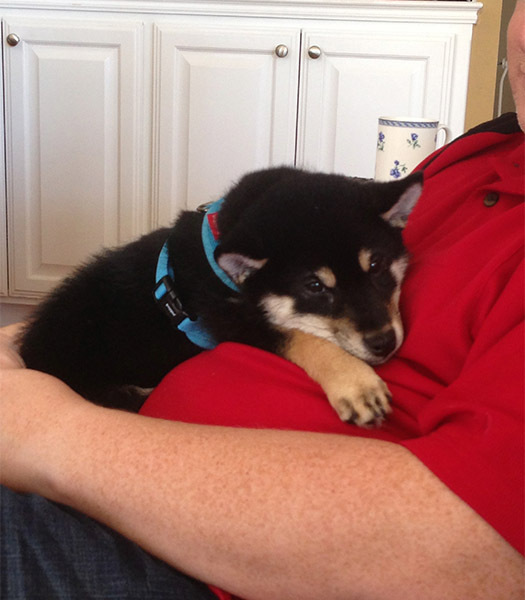 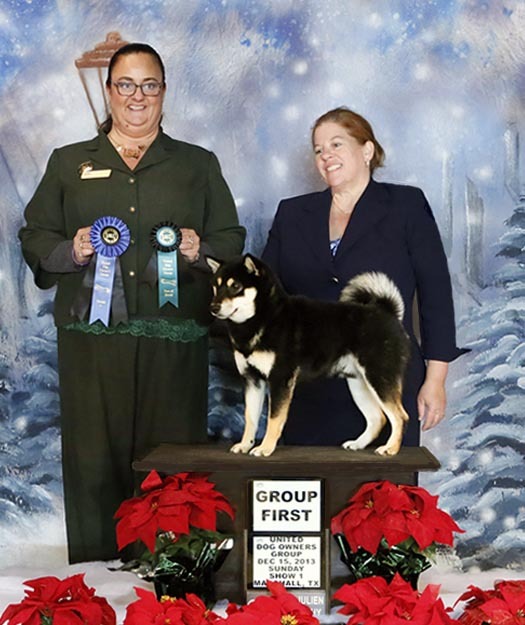 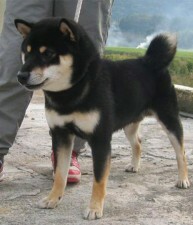 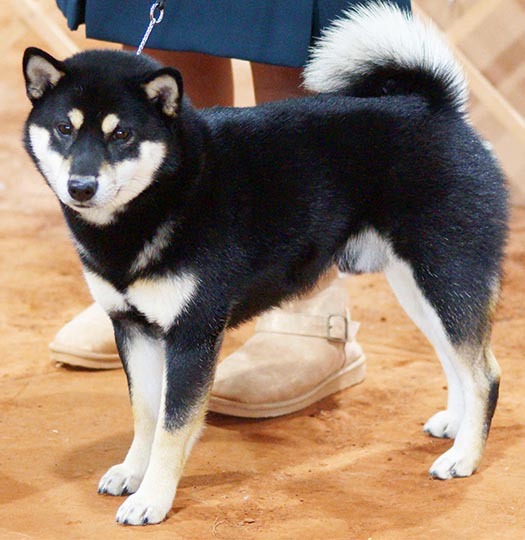 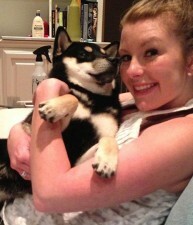 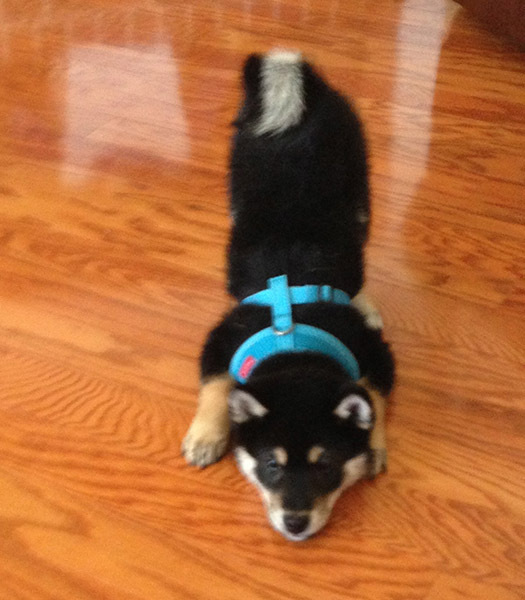 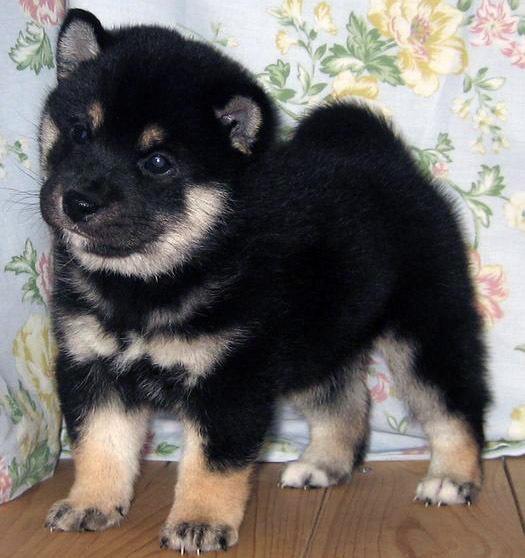 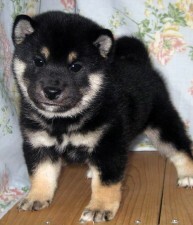 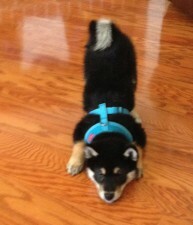 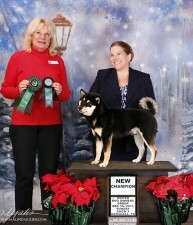 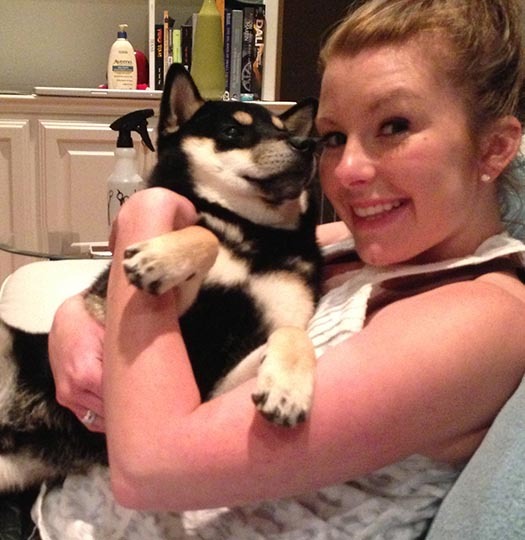 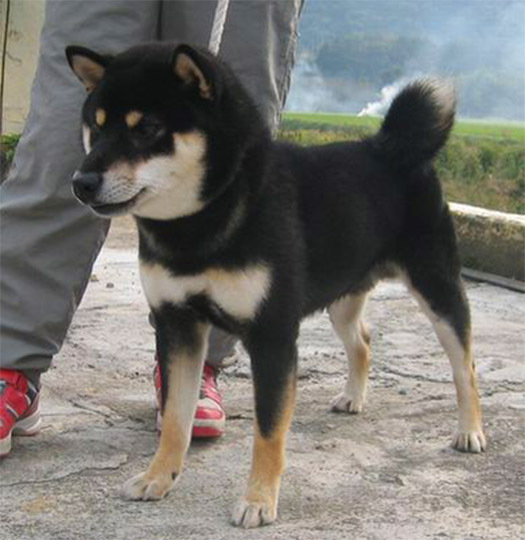 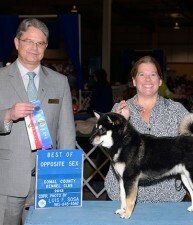 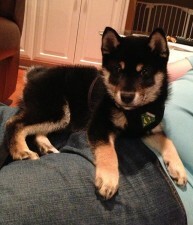 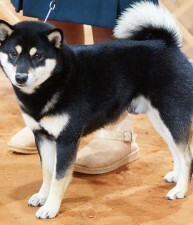 Akuto comes from a long line of Japanese champion Shibas. 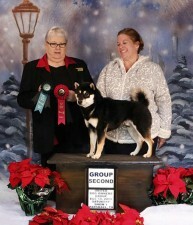 His grand-sire even won the Minister Prize Award! 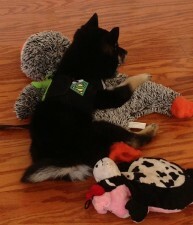 He came to us with such deep love and respect for people. 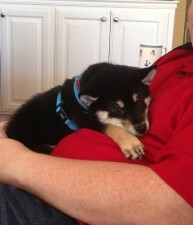 As you can see, he is a snuggle bug and LOVES Darren! He loves to learn new things; you can just see him thinking things through and when he figures them out, that’s all he wants to do! 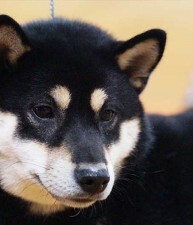 Akuto is every good thing you think of in a dog. 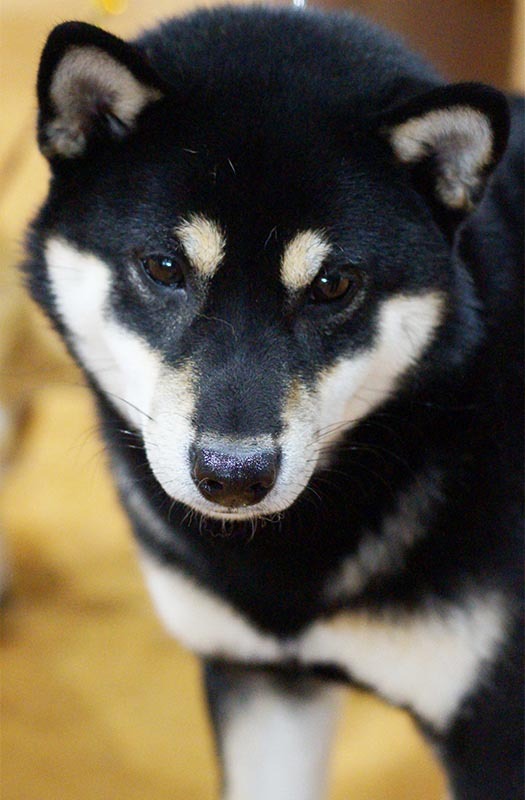 He loves to play fetch, loves to cuddle, loves to go for rides, and for a treat he will learn any trick you ask him to do. He is full of life and full of fun! 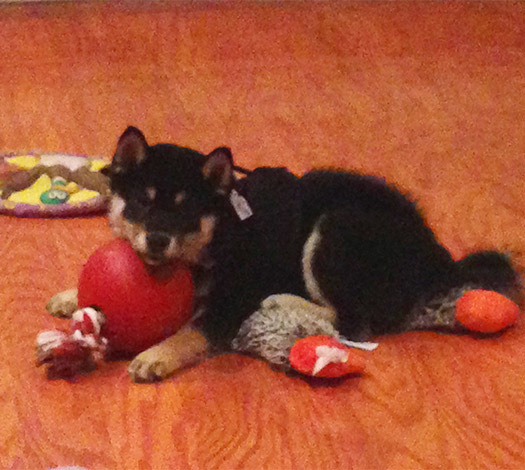 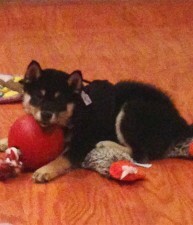 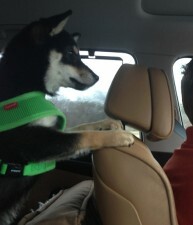 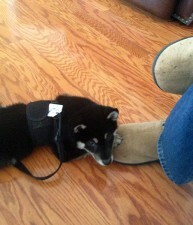 Akuto is enjoying his new toy and his new daddy. 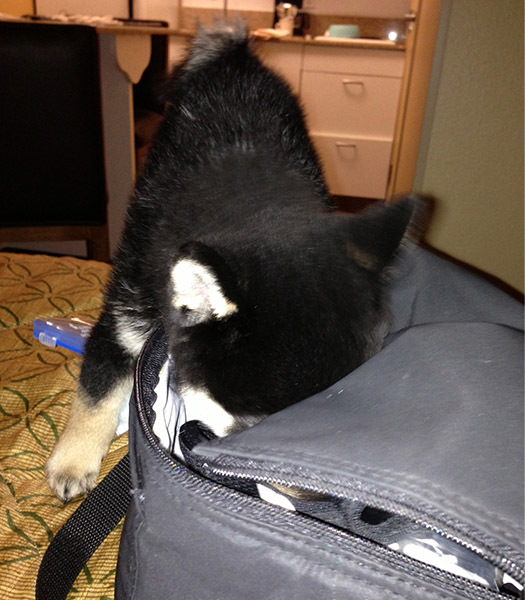 Exploring in Darren's suitcase. 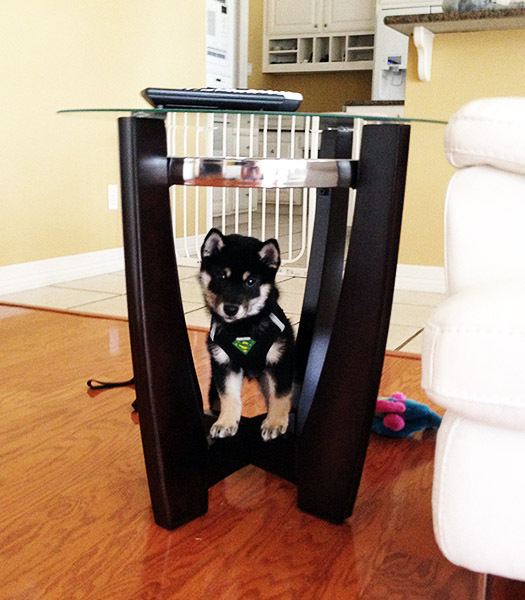 He's a very curious dog and not afraid of anything!